BRATISLAVA – From the relative serenity of Central Europe, I’m following events in Egypt like many of you: scan headlines, surf for more and more voices. To watch history being made in real time is a thrilling, if voyeuristic, experience. Virtual ring-side seats to a title fight between David and Goliath. But beyond the dominant story-line – that the Egyptian revolution may tip the dominoes across the Arab world – is a significant subplot: the triumphalism of Twitter and Facebook as mighty weapons of war. And democracy. No wonder China is watching so nervously. The phrase makes my skin crawl for how it blurs the lines of serious reportage. There’s no doubt that for protesting Cairenes and embattled journalists, social media is a lifeline to the outside world. Behold Mubarak’s forces, bumbling in futile efforts to stifle the Internet and modern communication. Then, in full view of the world, a disgraceful crackdown on Egyptian and foreign journalists – including one killed. We justifiably toast journalists like Egyptian Sarah El Sirgany, a sudden folk hero for relying on Twitter to persist with her reporting. 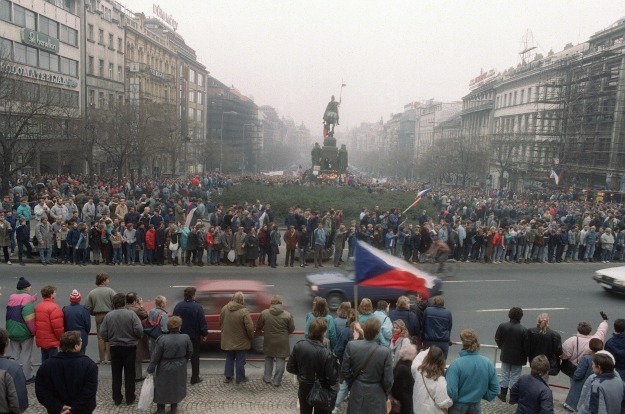 BRATISLAVA, SLOVAKIA (JTA) — The second half of the 20th century was marked by crises that sparked waves of Jewish flight and immigration — but it was rare for two such crises to happen simultaneously. In late 1956 and early 1957, the Hungarian Revolution and the Suez Crisis in Egypt rattled their respective Jewish populations, disgorging about 20,000 Jews apiece. For those who fled, the anti-Jewish strain in each event was the final straw. For neither community was this the first wave of emigration: On the heels of a Holocaust that decimated their community, thousands of Hungarian Jews migrated to pre-state Palestine or to the West. Others didn’t have the means to leave or stayed with elderly relatives.